Engaged Americans show limited knowledge of foundations and struggle to identify their impact on communities or issues they care about, according to a recent survey by Harris Interactive. But there is a silver lining: they still express positive feelings towards foundations and their social value. 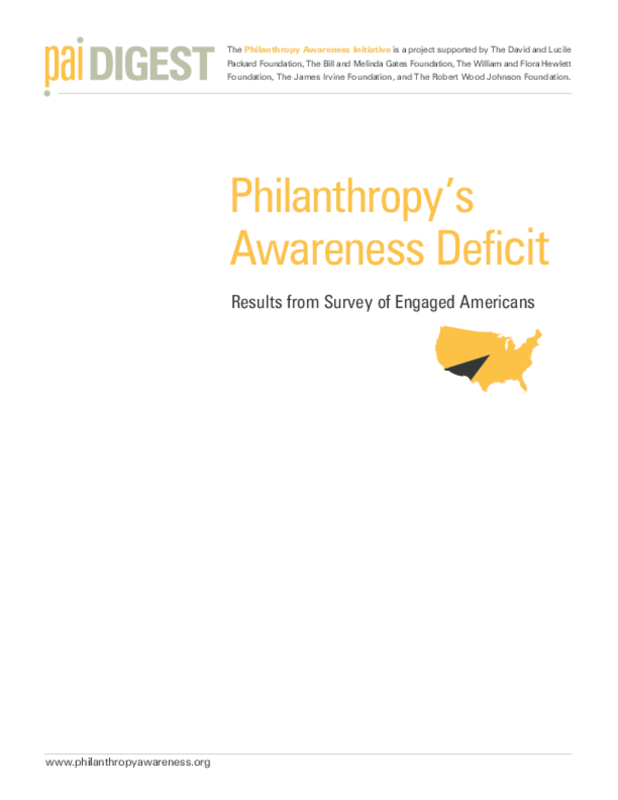 Read about these and other survey findings in this Philanthropy Awareness Initiative Digest.